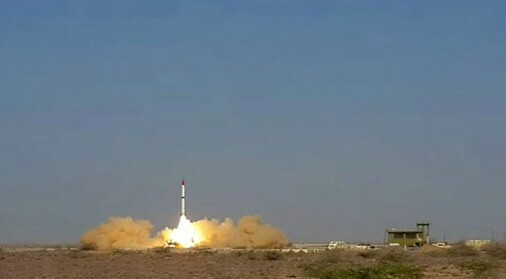 The March, 9, 2015, Pakistan conducted a successful test launch of SSBM, Surface to Surface Ballistic Missile, Shaheen-III at maximum range. 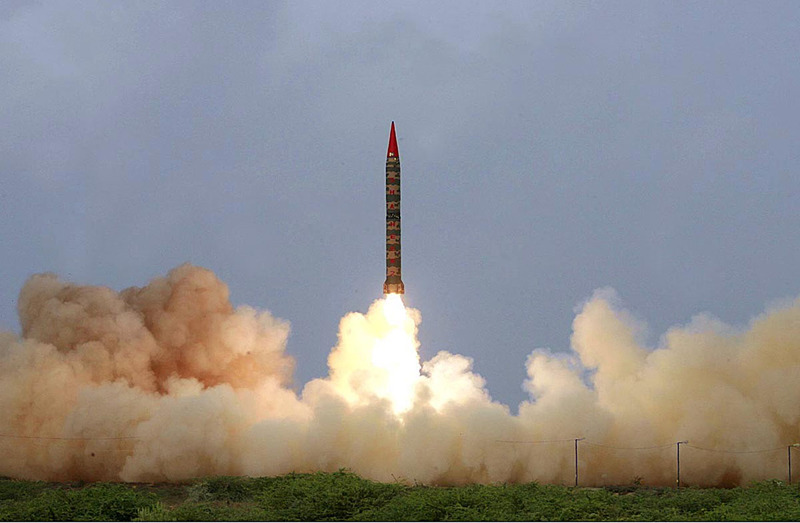 The land-based missile Shaheen-III is capable of carrying nuclear and conventional warheads to a range of 2 750 km. 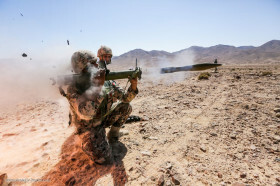 The test launch was aimed at validating various design and technical parameters of the weapon system. The successful launch with its impact point in the Arabian Sea was witnessed by senior officiers from SPD, Strategic Plans Division, the director general of SPD Lieutenant General Zubair Mahmood Hayat, strategic forces, scientists and engineers of strategic organizations. The Shaheen-III missile is composed of the solid-fuel system. 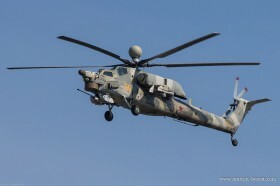 It surpasses the range of Shaheen-II balistic missile.